•	Special streamlined design enhances concealability and allows you to carry with full size guns. •	Made up of two pieces that work together to provide support and prevent slipping or moving. •	Unique and durable materials are immediately ready to use—no break in time! For those who sit for long periods every day, or would prefer to keep their waistline free, the ankle holster is the concealed carry option for you. Alien Gear Holsters has developed a breakthrough ankle holster design that rises above competitors. 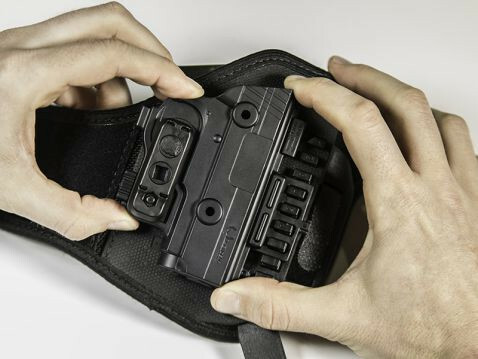 Following suit of Alien Gears’ other award-winning holsters, the ShapeShift Ankle Holster focuses on comfort and security. Made almost entirely of CoolVent™ neoprene and low profile hook and loop fasteners, this ankle holster is lightweight, requires zero break-in time, and hugs against the ankle for all-day comfort and concealment. 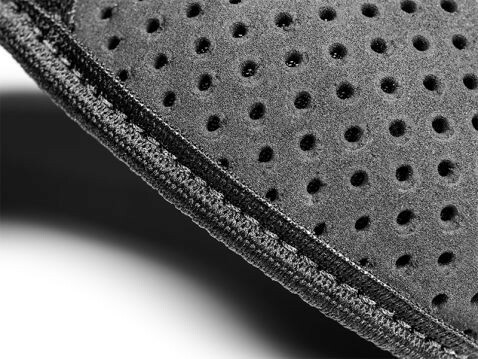 The upper wrap has a premium engineered polymer spine, formed to mirror the shape of the carriers’ ankle. This piece hooks into the lower strap, locking the holster in place and preventing it from sliding down the ankle. The spine connects to a thermo elastomer piece, which supports the holster’s shell and allows for six ride height levels. 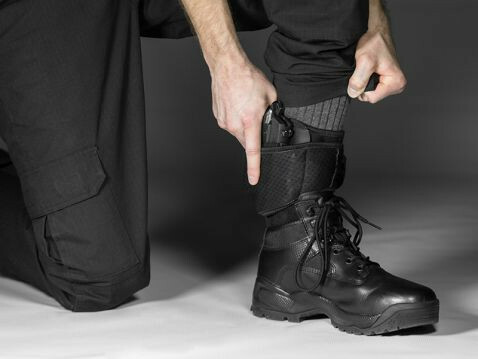 The ShapeShift Ankle Holster’s unique design removes the need for a calf strap or garter, and will keep the holster from moving around or sliding down. Every ShapeShift holster’s shell is injection-molded, fitting your firearm perfectly without any bulk or excess material. 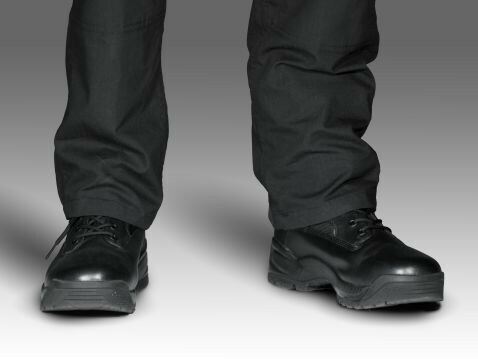 This enhances concealability and allows for a new type of retention that locks your firearm into the ankle holster with unquestionable security. 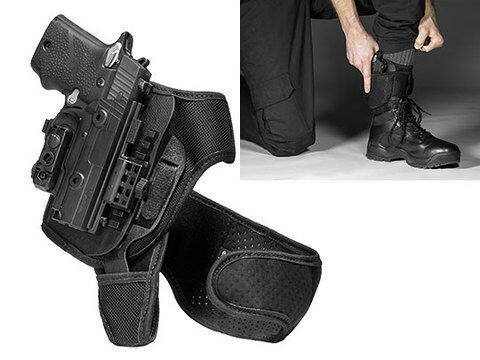 This adjustable, ultra-secure retention sets the ShapeShift Ankle Holster above other ankle holsters; Its open-mouth design makes for the fastest unobstructed draw. Enjoy compatibility with a wide range of OWB, IWB and tactical holsters with the ShapeShift Modular Holster System. 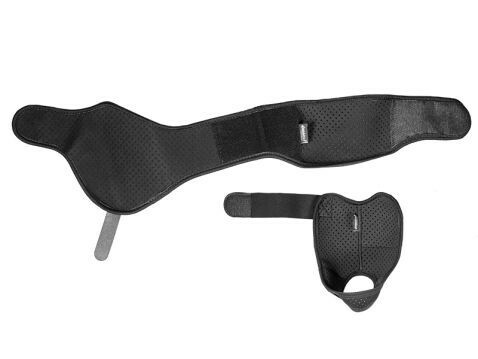 Shift quickly and easily from the Ankle Holster to the Paddle Holster or Molle Holster, dependent on your need. The Shapeshift Ankle Holster is backed with a Forever Warranty. 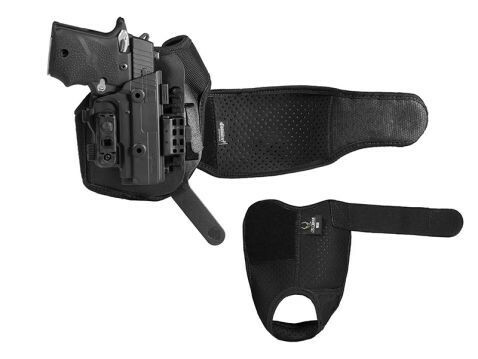 Try this American-made holster now with our 30-Day Test Drive. 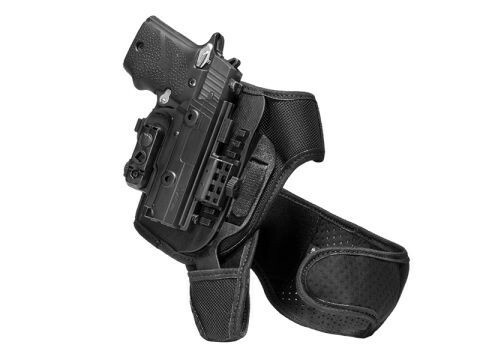 *We recommend wearing this holster over mid-length socks for extra comfort. However, if you choose not to, the holster is lined with perforated CoolVent™ neoprene, which utilizes moisture-wicking technology.